"It’s always gratifying to build relationships with clients. 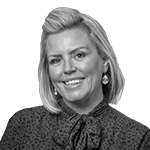 In many cases we have known our clients for decades and have travelled with them on their journey to success." 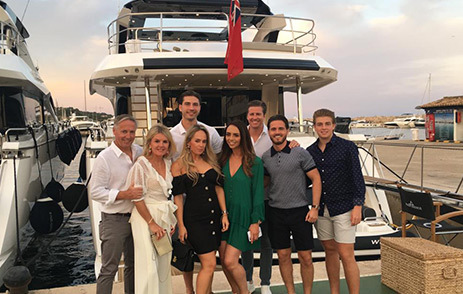 Sailing off into the sunset is all in a day’s work for group sales director of Sunseeker, Chris Head. 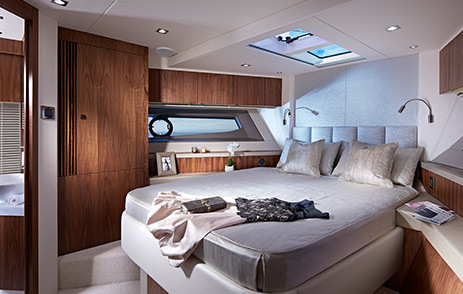 The British luxury motor yacht manufacturer, which Chris started working at 25 years ago, has been going from strength to strength and has no signs of slowing down in 2019. 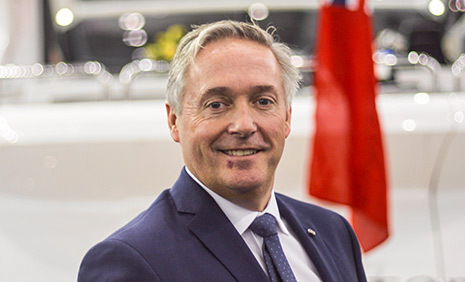 It goes without saying that travel is at the core of both Sunseeker and Chris Head, and we delved in deeper when we recently caught up with him. Think suitcase essentials, favourite hotels and a dash of tailormade yachts. Let’s start by talking about you. 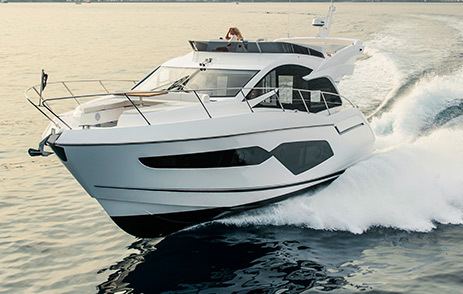 What began your long and successful career at Sunseeker London? I began as a teenager working weekends for David Lewis and learning my skill as a marine engineer. David and I started Sunseeker London in 1993, opening the first office in the capital. Our HQ is still in Mayfair and we have grown into Sunseeker’s foremost distributor network with 41 offices across 20 countries. Do you have any career highlights? It’s always gratifying to build relationships with clients. In many cases we have known our clients for decades and have travelled with them on their journies to success. We’re an exceptionally strong team and love seeing every individual excel. I am modest by nature, but it’s always been great to see hard work recognised with various industry awards over the years. Can you summarise Sunseeker in one sentence? Sunseeker is an iconic British brand which has been building luxury motor yachts for more than 50 years. The current range extends from 50ft to 161ft. The Sunseeker factory is in Poole, Dorset and employs 2,500 highly-skilled craftsmen and woman. The collections of boats showcase traditional artistry with cutting-edge technologies and techniques. 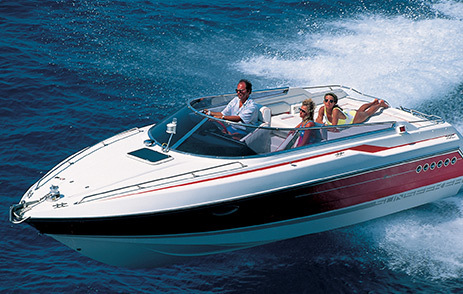 What is your most popular boat? In recent years the award winning 52 Manhattan has been a hugely popular boat with the deliveries across the globe testament to this. Hand-finished and handmade, how long does it take to build a boat? It can take up to two years to build a large boat. Technology is a major factor today, however there is no substitute for people with passion and pride in what they build. Do you have a favourite yacht? New projects always make the heart beat faster, and the 161 Yacht project sees us venturing into exciting territories. The boat will be Sunseeker’s first project built in aluminum which will see us meet the demands of our bigger boat clients. However, I will always be in awe of the smaller sports boat Hawk range. Despite being designed many decades ago, when you see a pristine vintage model cutting through the wake in Sandbanks or St. Tropez, it does make you proud. I think we’ve become reliant on technology so my phone, iPad and laptop are never far from my side. I love to spend any free time with my wife and family. My wife Lorraine and I recently missed connecting flights in Europe and had to dash for trains to make our vacation. It made us both reminisce to happy times. Any journey is made more special if you take it with loved ones. Have you ever had any quirky requests when building someone’s boat that you can share? Our client’s privacy is something we respect beyond measure, and therefore the more ‘niche’ requests will always remain a closely guarded secret. Clients always want to ensure that the boat matches their lifestyle, whether it’s a gym, cinema or playroom, we will work with them to get it right. Why do you book your travel through Winged Boots? My time is extremely precious to me and valuable to our company. As such, I don’t have time to compare and contrast. Winged Boots are experts and put every ingredient together seamlessly, whether it’s for my team’s business travel or my own family holidays. Where’s your favourite destination in the world and why? 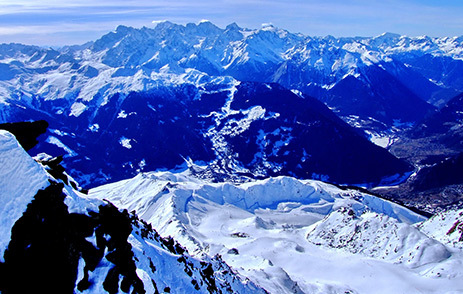 As a family we love the Alps and we’ve enjoyed many great skiing holidays there. And what about favourite hotels? 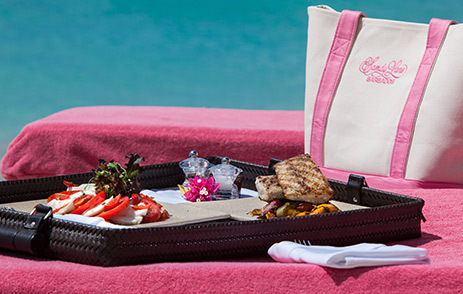 There’s something timeless and special about The Sandy Lane in Barbados. It has a stunning location, iconic heritage and superb service without pretentiousness. One for fun, if you were to host a dinner party on a Sunseeker yacht, who would be your ultimate four guests? Being part of the Sunseeker family I have been privileged to meet some extraordinary people including many of heroes. The truth is I’m at my happiest and most relaxed with those I love most, so it would have to be my wife and three beautiful children. "It made us both reminisce to happy times. Any journey is made more special if you take it with loved ones." Finally, what can we expect from Sunseeker in 2019? 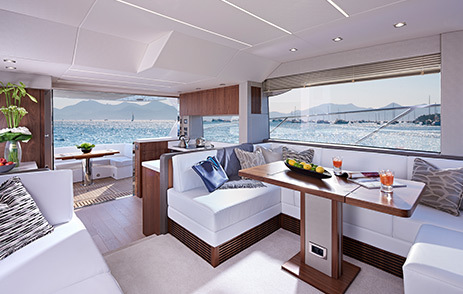 2019 opens with a bang at the 50th Anniversary Dusseldorf Boat Show. It’s set to be an incredible event, running from 19th – 27th January and I would strongly advise everybody to visit. We will see new models in the range as well as more exciting brand partnerships. 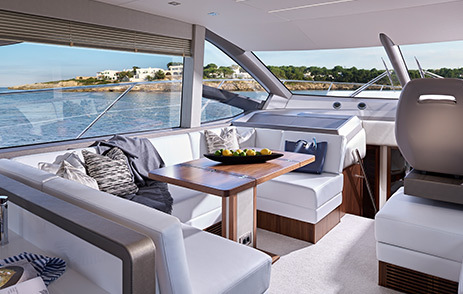 2019 will also see a revival of our smaller boat range which is exciting as we get to introduce a whole new generation to Sunseeker, as well as carry on the journey with long-standing clients. To find out more about Sunseeker and to discover the most recent collection visit sunseeker.com.